Now we all know why “Empire” actor Jussie Smollett allegedly staged a hoax hate crime attack on himself and then complained to police about it. Even though prosecutors have dropped charges, local police and others have stated they believe Smollett there is enough evidence to convict him. A grand jury was confident enough to charge him with 16 counts. Nevertheless, local prosecutors, after being lobbied by an official connected to the Obamas, dropped charges without a real explanation. “Let me be clear about something,” said Chicago mayor Rahm Emanuel, who has suggested Smollett pay for the expenses of the police investigation into his claim. “The only reason Jussie Smollett thought he could take advantage of a hoax about a hate crime is because of the environment, the toxic environment that Donald Trump created,” Emanuel said, according to a Daily Wire report from Joseph Curl. Emanuel was the Obama chief of staff who once declared that a political operative should never let a crisis go to waste. “This is a president who drew a moral equivalency between people who are trying to perpetuate bigotry and those who are trying to fight bigotry,” he said. While the president was confirming that the FBI and Department of Justice both will investigate the decision by Chicago prosecutors to drop charges, Emanuel was telling Trump to remove himself from the issue. “My recommendation is the president go to Opening Day baseball, sit on the sidelines and stay out of this,” he said, the Wire reported. Smollett claimed he was attacked by two white men who yelled “MAGA country.” President Trump’s campaign slogan was “Make America Great Again. 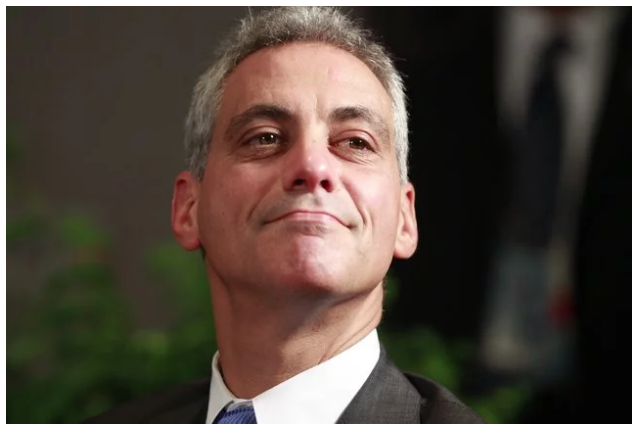 Emanuel also wants Smollett to pay Chicago the $130,000 police spent investigating what is considered by most to be a fake report. Foxx claimed she recused herself from the case when it was revealed she had been lobbied by a former aide to Michelle Obama who was a friend of the Smollett family. However, it later was revealed she did not recuse herself. The Chicago police union has asked federal authorities to investigate for possible federal violations. Smollett allegedly mailed himself a death threat, which would be a federal offense. Local authorities alleged that after the threat Smollett mailed to himself failed to generate enough publicity, he hired two acquaintances to stage a physical assault on him. He reported the incident to police as a hate crime.